Prepare an awesome dinner that somehow manages to fuse with your favorite pan in an unholy mixture of meat and metal. Soak the pan after it cools. Skip away while husband cleans the kitchen. Silently curse husband for leaving the pan soaking overnight instead of tackling the beast. Leave pan sitting in sink all day. Repeat steps 3 – 5. Discuss the elephant pan situation with husband. Realize that his Herculean scrubbing efforts have all been in vain. 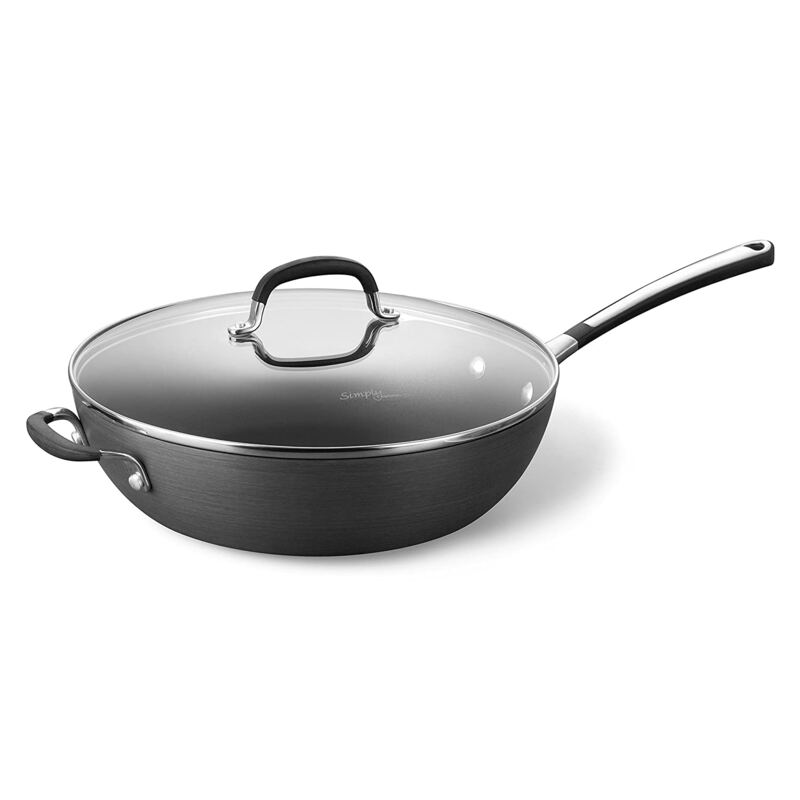 Google remedies to save my favorite pan. Try simmering milk in pan. Simmer milk about two minutes too long. Realize that the baked on crud now includes milk residue and blackened meat marks. Try boiling water with detergent in pan. Break out the sponge with the brillo side. Remove most of the milk mess, but make very little dent in the OG disaster. Start googling for new nonstick pan. Sniff, it was the giant pan you guys got us. I love that thing so much I’m not even sure how to cook dinner without it anymore. 1) Add some white vinegar to the water when you simmer, about 2 parts water to 1 part vinegar. 2) Cover the mess with oil and let sit for a while, then scrape with a wooden implement. A bit of gentle heat might help this process along, but you know, be careful with hot oil. 3) Scrub with a paste of baking soda.